The evidence, however, does point to the fact that most learning is experiential and social, and most of that being carried out in a self-directed way. In other words, ‘informally’. It also points to some broad – rather than specific - ratios. L&D professionals need to have tattooed onto their brains that “70:20:10 is a reference model and not a 'rule'”. Although many L&D departments are reaching out to new media and new approaches to support daily development activities – with incorporating social learning into courses, launching MOOCs, adding gamification, using mobile and other communication and delivery channels in the vanguard - many of these are still being implemented within the traditional L&D structured learning framework. That framework and mindset is essentially about command and control - 'we design and deliver the packages, the 'learners' learn, we metricise and report'. 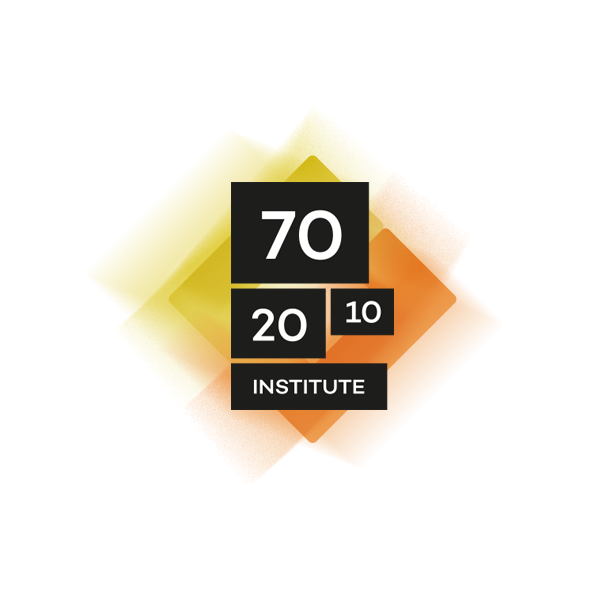 I view 70:20:10 as an opportunity to re-establish the working relationship of L&D departments with their colleagues and stakeholders and to move from 'control' mindsets to supporting, facilitating, and enabling mindsets and practices with razor-like focus on organisational and stakeholder needs and priorities. It's up to the wider L&D professional body as to whether it takes that opportunity or not. At the core of 70:20:10 thinking is the fact that most of the learning that occurs in the workplace simply can't be 'managed' by anyone other than the person who is learning (and, sometimes, by their supervisor) so L&D professionals need to re-think their role if they're to help extend and improve the learning that's already happening outside their world. 70:20:10 helps them do just that.